Great. Marketing. Experience. Great. Marketing. Experience. Create a web presence for a Rabbi to generate bookings for interfaith weddings. OpenMind Research methodology, Website Design, Information Architecture, Copywriting, Search Engine Optimization and Programming. 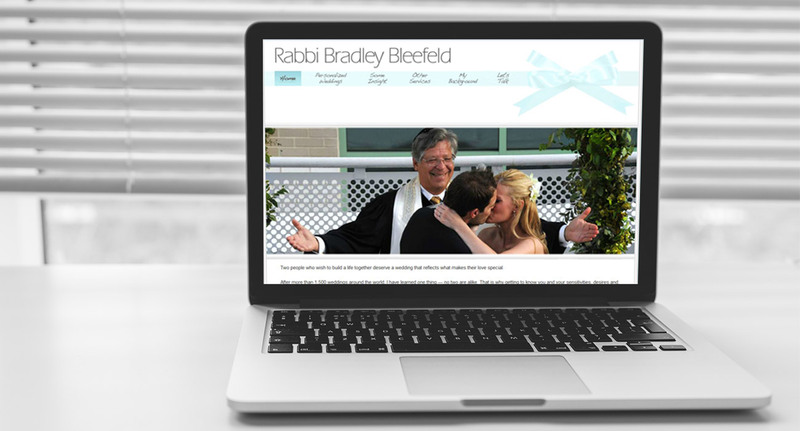 Three months after the website launched, Rabbi Bleefeld’s bookings increased 60%. The site continues to bring increased bookings and interest in his services year-after-year. © Copyright Marketingcures. All Right Reserved.